There’s a famous joke in the movie Annie Hall: “Boy, the food at this place is really terrible.” to which the reply is “Yeah, I know, and such small portions.” . I believe that there is a similarly confusing sentiment in the latest edition of Eurofighter World, which I will deal with in Part 3. EW (Eurofighter World) is a magazine published by Eurofighter GmbH to document and promote the Eurofighter Typhoon fighter aircraft and its associated programmes. These are some of my opinions on the most recent edition, dated 2012/01 (there’s a link at the bottom if you wish to download a free copy). The title is presented as a rather tacky typographical logo- the silhouette of a Eurofighter swooping out of a colour picture of the world is painfully literal. 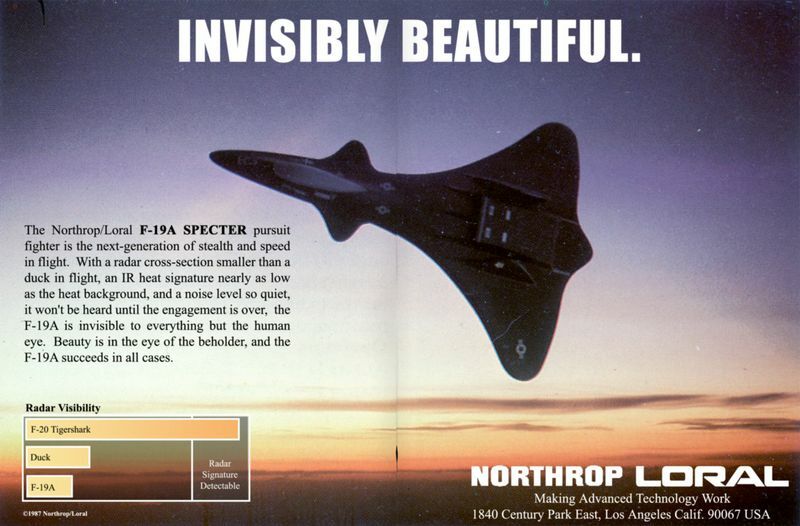 Added to this is the inherent naffness of the company name ‘Eurofighter’. 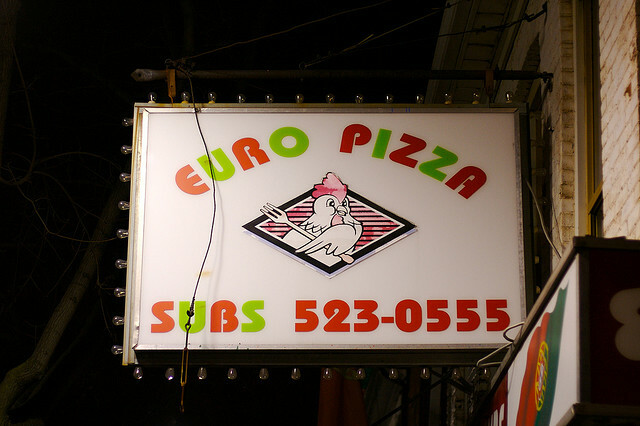 As many Europeans will remember, the prefix ‘Euro’ was applied willy-nilly to everything in the 1990s (I can remember a EuroPizza on Ballard’s Lane, Finchley) and retains a connotation of tackiness. 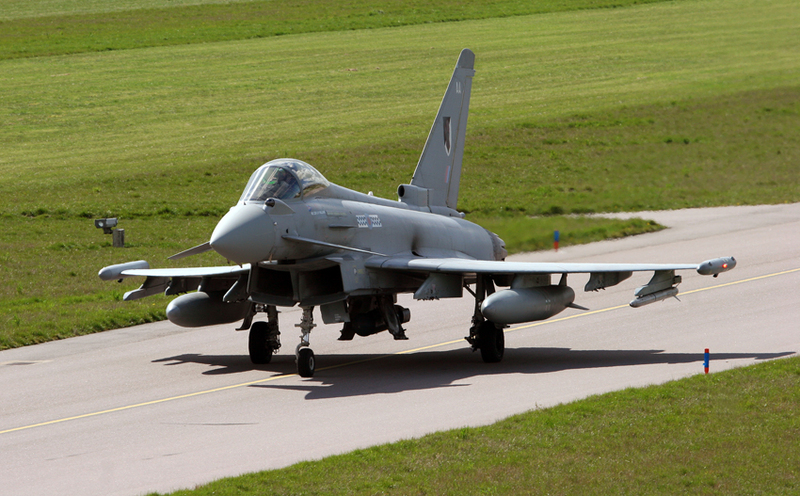 Though this maybe a little unfair, as Eurofighter formed in 1986 and was among the first to use the prefix. This aside, the cover is instantly appealing, thanks to a menacing portrait of a bombed-up Typhoon. To emphasize the multi-role capabilities, Eurofighter rarely misses an opportunity to show the aircraft carrying Paveway bombs. The front aspect of the aircraft shows off the big, glowing green HUD ( looking like a cat’s eye), and the weird curves of the PIRATE IRST ( like the staring black eye of a reptile). Beneath the gaping mouth of the intake, on the centreline point can be seen the LITENING EF targeting pod, underwing are EPW II bombs and under-fuselage four AIM-120 AMRAAMs. Two rather tantalising coverlines promise one feature about the type’s use over Libya, another titled ‘Stealth Design: A real history of success?’. I wonder if this will conform to Betteridge’s Law of Headlines; “Any headline which ends in a question mark can be answered by the word ‘no’”. I already have my suspicions.. 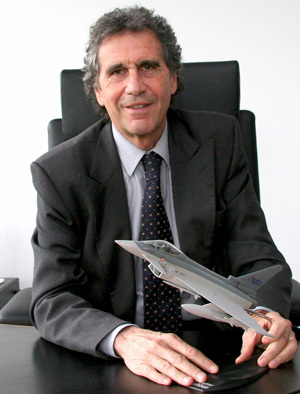 This 2008 report was based on thorough evaluation of the SAAB Gripen, Dassault Rafale and Eurofighter Typhoon. Despite it being the most costly of the three fighters, Typhoon was placed second in most assessment criteria, with Rafale generally coming first and the cheaper Gripen coming last. Switzerland went for the Gripen (going for the improved E/F version, powered by the F414G engine). It does indeed appear to be ‘challenging times’ for Eurofighter, but this message does not acknowledge that Typhoons are being produced at a faster rate than other fighter in the world and have a larger confirmed order book than any other current military aircraft (we’ll cover the subject of the F-35 later). Why is Enzo using the word ‘challenging’? We reveal more in part two.